Jewellery is something that every woman needs in here life, whether it be a small dainty ring or heavy, statement necklace. Its always needed and looks good no matter what you are wearing and when you are wearing it. 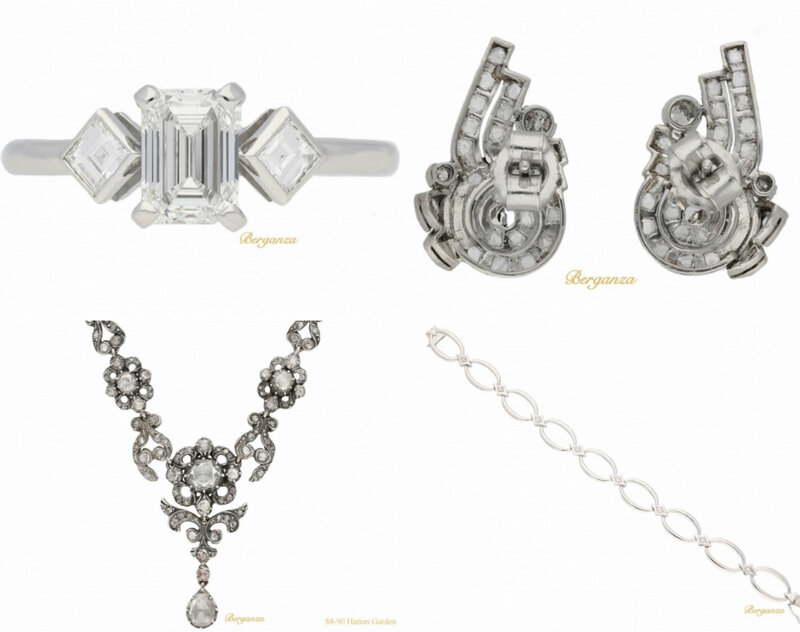 I have recently being eyeing up several items from Berganza*, who specialise in vintage jewellery. They have some of the most prettiest and best quality pieces out there and source items from different eras. This wishlist post only shows you a small range of some of them available on the site, aren't they just gorgeous? All these items are those sorts of pieces that you can wear over and over again without them looking boring or old. Of them all I am currently in love with the rose cut necklace, it would looks amazing on its own with a simple jumper and jeans! What items of jewellery are you loving at the moment?